I love this laid-back version of a classic equestrian look. I grew up in Ohio showing horses, and every summer my family would go to the All American Quarter Horse Congress—the largest single breed horse show in the world. This outfit is super cute for a casual stroll around the fairgrounds. It's basically socially acceptable barn wear: the Carhartt-esque jacket, the black jodhpurs, the hunter riding boots, the preppy stripe. It's sophisticated but casual—you could get away with this look at a polo match, but it's also versatile enough to wear on a day hike or a trip to the farmers market. It's a style that totally translates to my adult life. This room is stylish and modern, comfortable and inviting—all the same elements I love in my inspiration outfit. No frills. Nothing too trendy. The look is polished and practical. For the interior design, I chose classic, timeless materials like leather and wood; soft, durable textiles made from high-quality natural fibers; the same earth-tone color scheme; and simple, structured patterns. This wool Anthropologie airliner-style chair is SO cool. I love the delicate black frame, the leather headrest, and vintage style wool upholstery. My crew is obsessed with this color this season. I saw it all over Europe this summer. Not quite pumpkin, not quite gold... the closest color that comes to mind is Carhartt Jacket. This brings the preppy stripe into the look. I'd put it on the airliner chair for some contrast. I love the textured linen with the sharp black trim. IT reminds me of the stripe in the shirt from the outfit. This shaggy wool rug adds some texture to the room while keeping the look updated. Love the combination of a modern pattern on a traditional Moroccan rug. This soft, dark bedding mimics the outfit's tucked-in leggings. Bonus: the wool reminds me of a saddle pad. This bed's midcentury architectural details keep the look modern and fresh; mixed with its vintage vibes and saddle leather headboard, it totally works with the look we are going for. 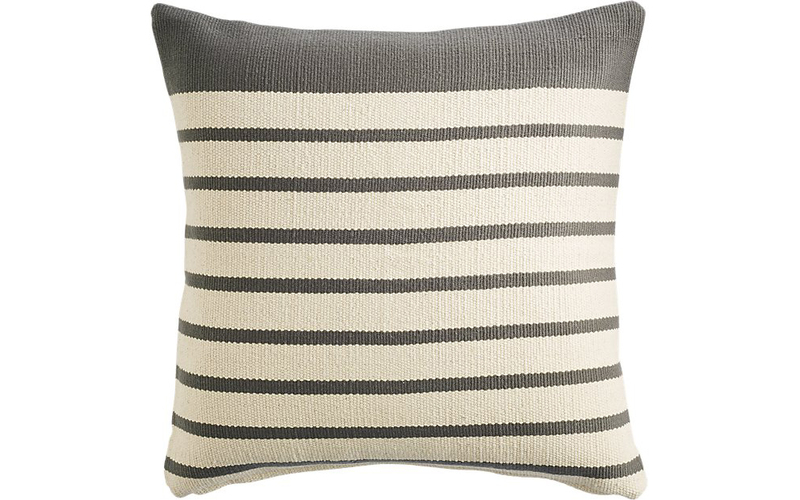 CB2 says it best, "If a sweater designer hung out with a rug designer, this throw would be the result. " It also slightly resembles the fleece on the inside of the hood! Obviously we had to bring in some kind of horse element! This one is quite moody and dramatic, like a trust fund kid who just lost the polo championship to Conner McDouglas's school (AGAIN!). I love it because it brings in the caramel and onyx tones. Stay tuned for more runway-inspired rooms, Aleah's edition of Fashion-Forward Interiors is coming soon!